Our easy to clean, easy to read Mix-N-Measure® is a chef’s delight! 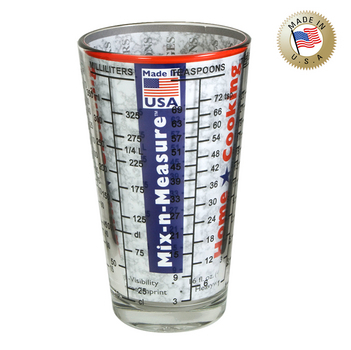 Made entirely of American glass, the Mix-N-Measure is always stable on the table and dishwasher safe. The Mix-N-Measure® accurately measures cups, ounces, teaspoons, tablespoons and milliliters, as well as sugar and flour in grams.